A husband and wife went to the fairgrounds. The wife wanted to go on the Ferris wheel, but the husband wasn't comfortable with that. So the wife went on the ride by herself. 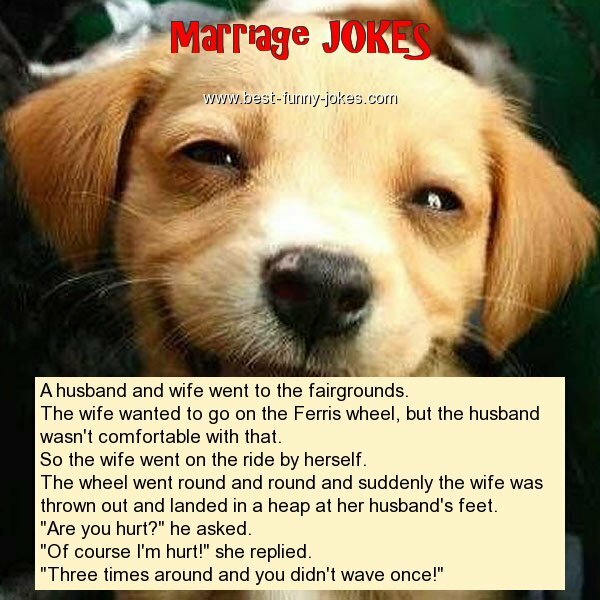 The wheel went round and round and suddenly the wife was thrown out and landed in a heap at her husband's feet. "Of course I'm hurt!" she replied. "Three times around and you didn't wave once!"